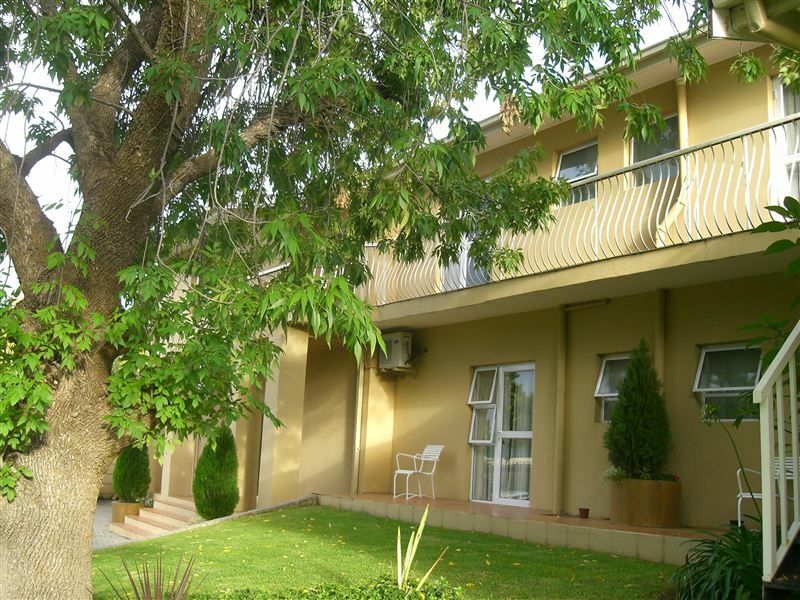 Bayswater Lodge is a well established 4 Star Guest House situated in a northern residential suburb of Bloemfontein. 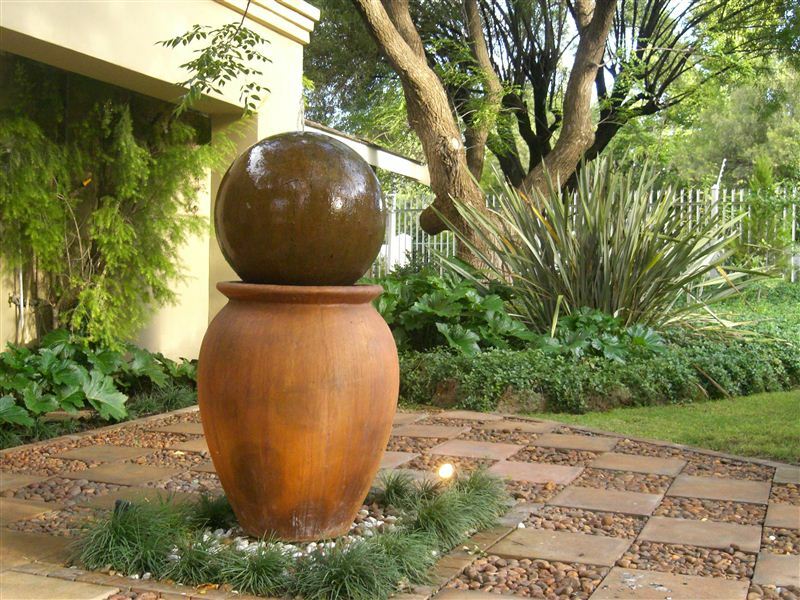 It is the ideal resting place for corporate, leisure or long-term staying guests. 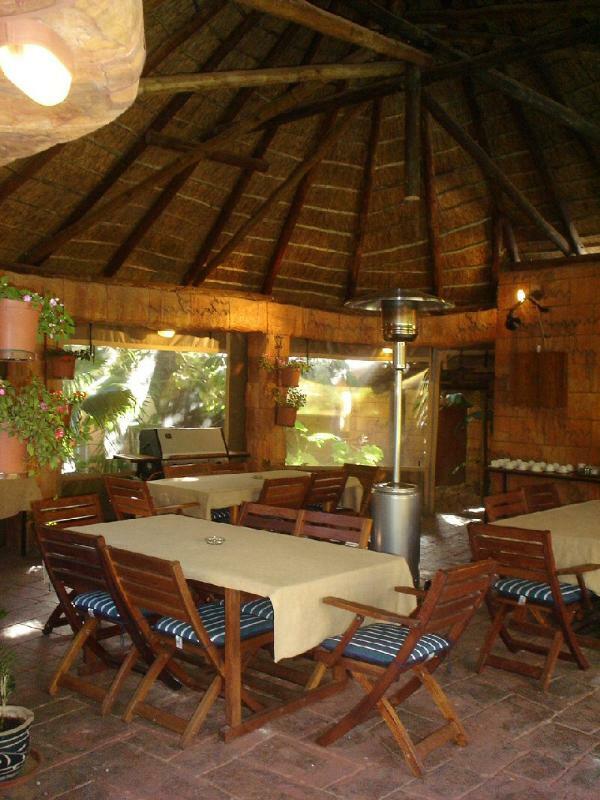 The lodge is easily accessible via several main routes, the airport and the city center. 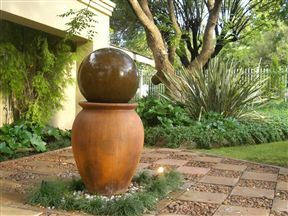 The guest house is surrounded by a beautiful garden with huge trees and the lush lawn, creating an ambiance of space and tranquility. 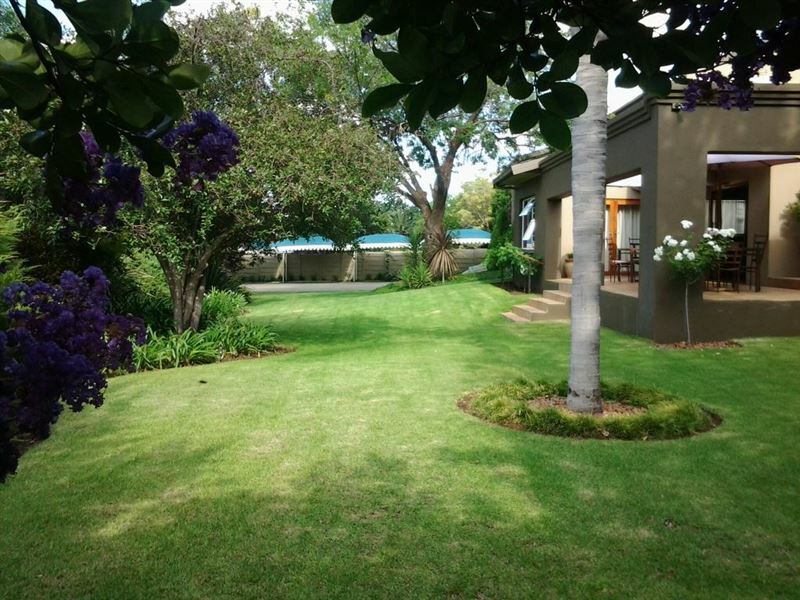 For the safety of our guests, the property is secured with an electric fence, controlled access and CCTV. 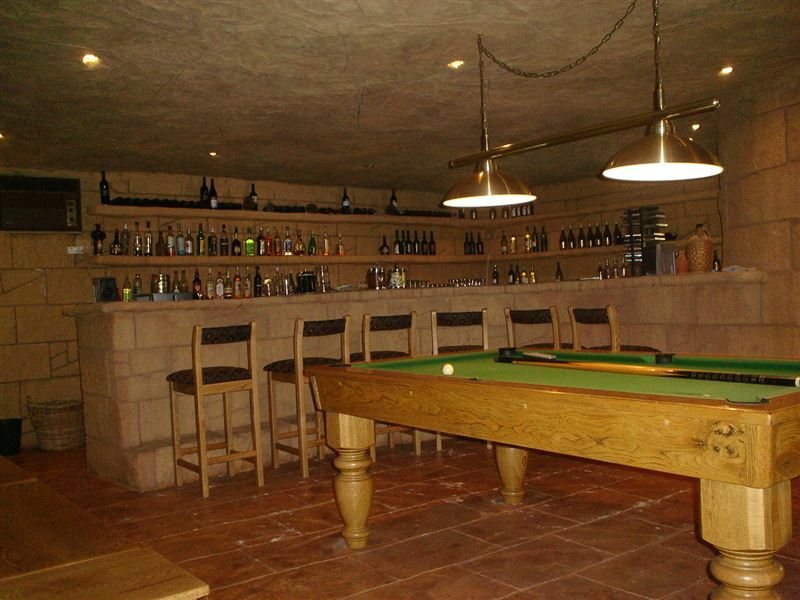 You can sit back and relax after a hard day’s work or long trip in the beautiful courtyard, enjoy a cooling swim or having a drink at our bar. 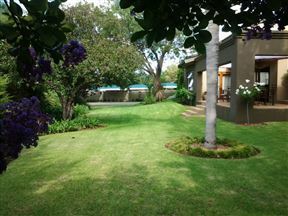 Double bed bedroom on the ground floor, direct access to garden. Bathroom with bath only. Large double bed bedroom, north facing on the ground floor, direct access to the garden, shower only. Double bed bedroom on the ground floor with view of the courtyard garden, bath. 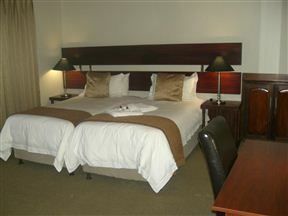 Double bed bedroom, northfacing on the 1st floor, with shower. 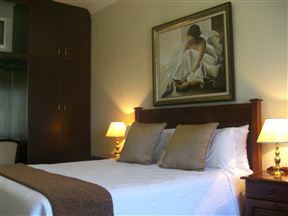 Queen bed bedroom on the first floor with a corner bath. Suitable for honeymoon couples. Double bed bedroom on the first floor, shower. Double bed bedroom on the first floor, north facing with direct access to balcony, Shower. Double bed bedroom on first floor with a view of the courtyard garden (Shower). 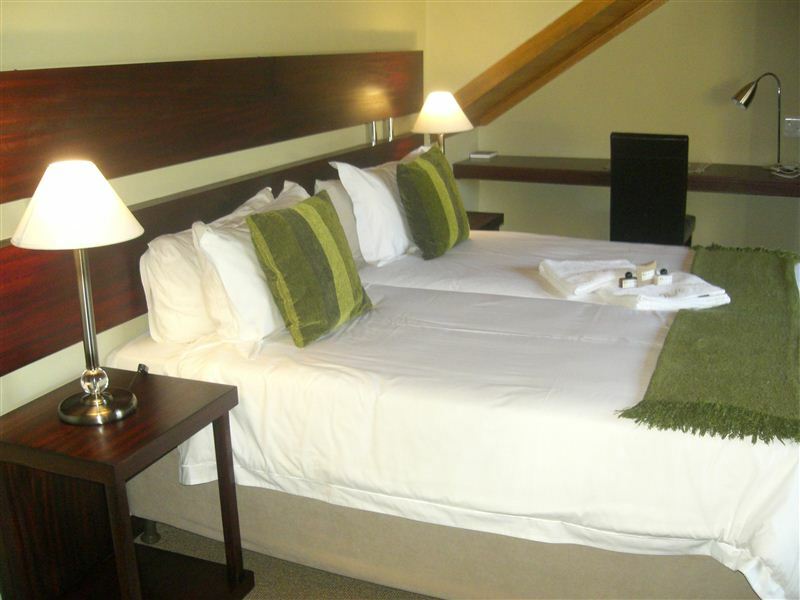 Twin bed bedroom on the first floor, north facing with direct access to the balcony, shower. Twin bed bedroom on first floor, view of the courtyard garden, shower. 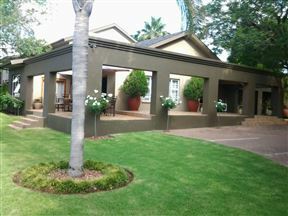 Twin bed bedroom/king bed with direct access to courtyard garden and swimming pool, full bathroom. This room can inter lead to the adjacent room through a kitchenette to form a complete two bedroom family unit. Self catering family room with twin beds/king bed & a double sleeper sofa, full bathroom. 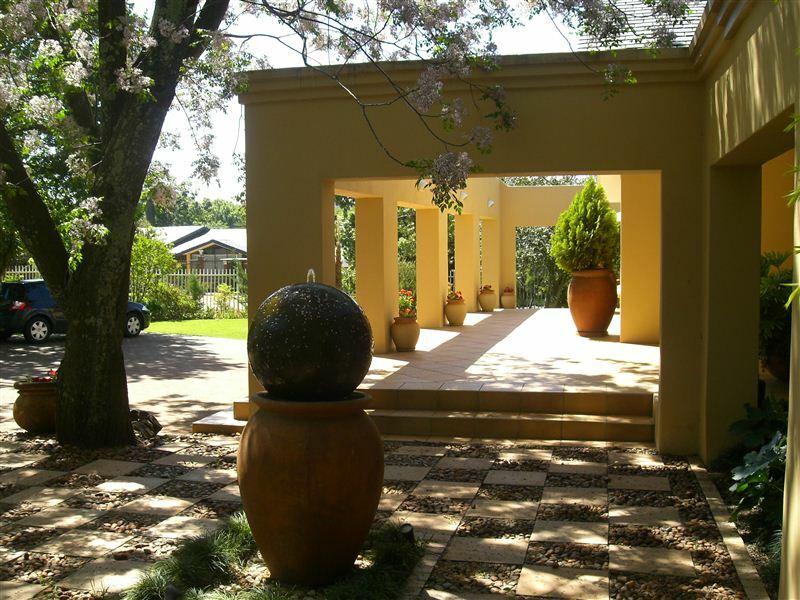 It is a large north facing room with direct access to the garden and under roof parking. Interleading door to Rm11.